It is with great sadness and heavy hearts that we announce the passing of Barry Lavern Larsen on January 19th, 2019. Barry passed away peacefully at Pasqua Hospital in Regina, SK at the age of 69 years after a one-and-a-half year battle with lung cancer. He was surrounded by his wife, Jo Ann, and his children: Mark, Toni (Kody) and Andrea. Barry was predeceased by his mother Betty; father-in-law Ivan Shauf; mother-in-law Loris Shauf; grandparents: Albert and Nettie Severson, Harold and Josie Larsen; uncle LeRoy Larsen;and sister-in-law Linda Shauf. Barry is survived by his wife of 36 years, Jo Ann Larsen, Oungre, SK; his children: Mark Larsen, Saskatoon, SK, Toni (Kody) Larsen-Hartung, Saskatoon, SK, Andrea Larsen, Estevan, SK; grandchildren: Kaydence and Parker Larsen-Stepp; his father Lavern Larsen; brothers: Dwight (Brenda) Larsen, Windthorst, SK, David (Diane) Larsen, Sundre, AB, Stephen (Tesa) Larsen, High River, AB; his brothers-in-law: Dale Shauf, Regina, SK, Gerald Shauf, Estevan, SK, Marvin (Colette) Shauf, Stoughton, SK, Brian (Carol) Shauf, Eston, SK, Murray Shauf, Estevan, SK;as well as many nieces, nephews, other relatives and close friends. Barry was born at St Joseph’s Hospital in Estevan, SK on November 22nd, 1949. He was the first of four sons born to Lavern and Betty Larsen of Oungre, SK. Barry grew up on the farm east of Oungre, where he graduated in 1967. Afterward, he worked as an operator in the oilfield at Zama City, AB, followed by Commercial Printers in Regina. After that, he returned home and farmed with his dad for 34 years. During that time, he also drove a school bus, on which his children all rode throughout their school years. After retiring from farming, he began commercial trucking for Select Classic Carriers, a company based out of Saskatoon. He hauled camper trailers with his one-ton dually, making weekly trips mainly down to Goshen, Indiana. There he would pick up the trailers and deliver them to locations throughout Alberta, Saskatchewan and Manitoba. Barry had a brief hiatus from trucking in January 2006, when he had to undergo a septuple bypass surgery. The doctor told him he had to quit his long-time bad habit of smoking or there was no point in doing the surgery, so he quit cold turkey that December. He put the “bear” in Barry for a couple of months, but before long even the smell of cigarettes made him sick, and he never picked one up again. He was back on the road by April, and continued trucking until health complications left him no choice but to park his truck in July 2017. On January 15th, 1983, he married Jo Ann Shauf, and on January 6th, 1984, they welcomed their first child, Mark. They built a house in 1986 on Lavern and Betty’s home quarter. On August 23rd, 1987, they welcomed their first daughter, Toni, followed by their second daughter, Andrea, on May 6th, 1990. Barry enjoyed curling, both as a player and a spectator, and also coaching ball, but his favourite pastime over the years was proudly watching his children play sports, compete in musical competitions, and partake in various other activities. His greatest joy in life was the birth of his first grandchild, Kaydence, on April 8th, 2009, a joy that was matched only by the birth of his grandson, Parker, on October 2nd, 2013. 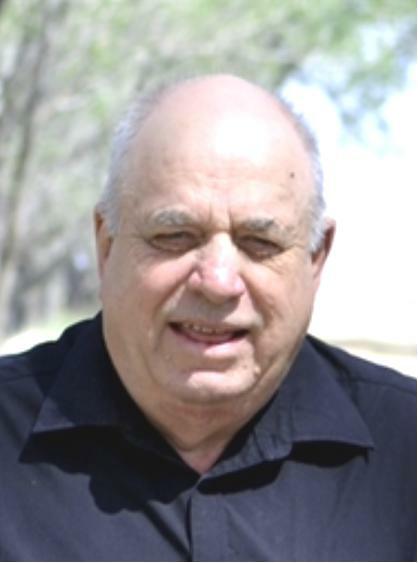 A Celebration of Life was held Saturday, February 16, 2019 at 1:00 p.m. to 5:00 p.m. from McKenna Hall, 317 ~ 3rd Street, Weyburn, SK. For family and friends so wishing, charitable donations in memory Barry may be made to the Jim Pattison Children's Hospital Foundation, #1 ~ 345 3rd Avenue S, Saskatoon, SK, S7K 1M6.